Alright, now that safety precautions for online-shopping have been addressed in last week’s Tech Tip (in case you missed it, just click here: Cyber-Security While Online-Shopping), let’s move on to a few tips on how to prepare YOURSELF for the busy holiday season. Whether we’re talking recipes, gift ideas, or shopping checklists – OneNote will help you stay organized during the most chaotic time of year. Different Notebooks help you keep topics separated, and different Pages within the Notebooks keep your topics structured. Type, write or draw with the free form feel of pen to paper. Search and clip from the web to picture ideas. Take handwritten notes and convert them to typed text later. 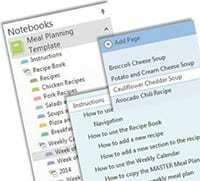 OneNote works on any device (smartphones, tablets, etc.) or platform! Doesn’t this make the Holidays sound so much easier to deal with? 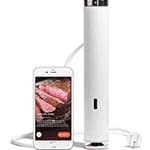 Take your recipes with you wherever you go, look at your gift ideas while browsing the stores, and never leave the supermarket while missing an item on your list! Simple enough, right? Use the app on your mobile device to set timer and temperature, decide on visual doneness, and receive notifications once your masterpiece is complete! Its highly techy components have our entire team fascinated!